This tree has made quite a journey, from the Payette National Forest in Idaho to the steps of the U.S. Capitol Building In Washington, DC. It is now getting ready for the 2016 Capitol Christmas Tree lighting. The Big Idaho Potato Tour has been there every step of the way on the U.S. Capitol Christmas Tree Tour. 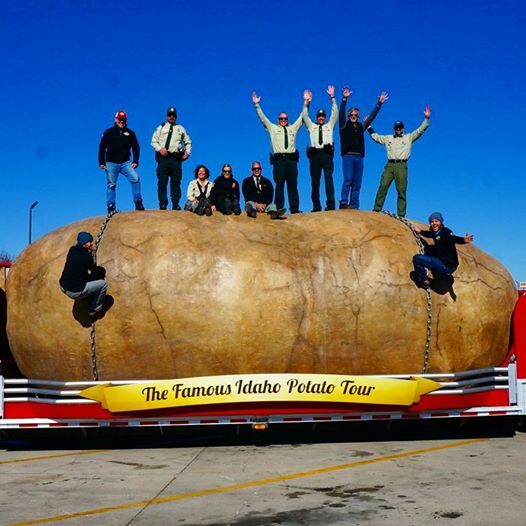 Check out https://www.facebook.com/BigIdahoPotatoTour/ for great pictures along the way!